Join and support the Friends of the Library with your tax-deductible membership. The Friends of the Library are members of the community just like you -- people who value the library and its services. We think of ourselves as the library’s best friends. Membership in the Friends of the Library is open to all who wish to support the library’s vital role in our community. To learn more about the Friends, please visit the About Us page. 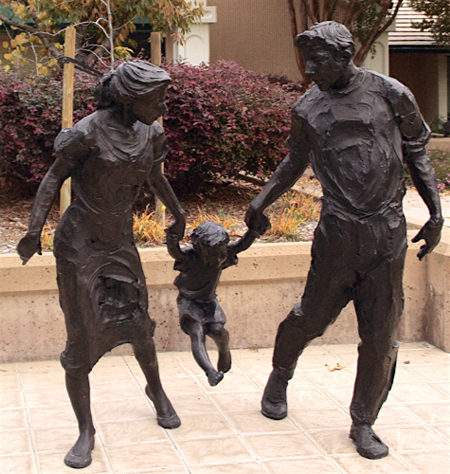 Why join the Friends of the Pleasanton Library? Annual membership and renewals officially start each spring but individuals may begin their memberships at any time. All memberships and donations are tax-deductible to the extent authorized by law. The Friends organization is eligible for corporate matching gifts as a 501(c)(3) non-profit corporation. We encourage you to become a member today! To join, simply pick up an application at the library’s checkout desk or at the Friends’ bookstore within the library. Download the Membership Form here. Simply print, complete, and return it to the Friends of the Library. Memberships are also gratefully accepted during the spring (the official beginning of the membership year) and fall book sales.